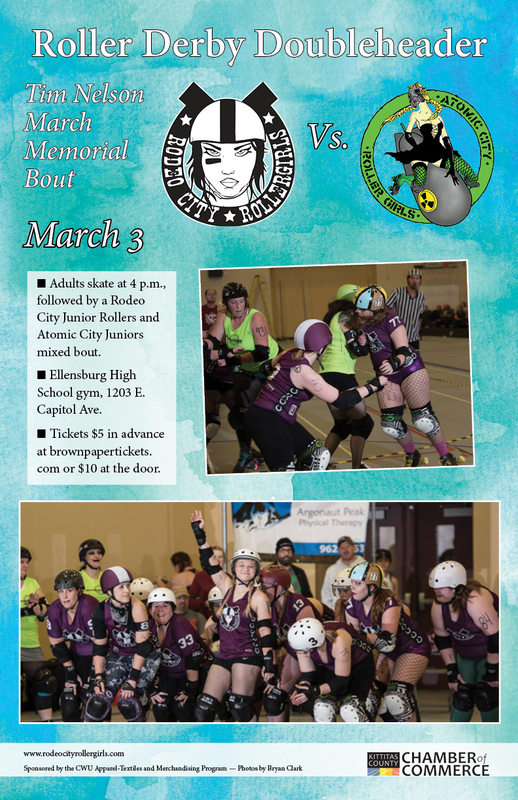 The Rodeo City Rollergirls will take on the Atomic City Roller Girls in this doubleheader event. This is a memorial bout and we will be dedicating a seat to Tim Nelson, who was one of our biggest fans. The action starts at 4 p.m. Saturday, March 3rd at Ellensburg High School with the adult game. The juniors will play in the second bout of the night starting around 5:30 p.m. Doors open at 3:30 p.m. and the bout starts at 4 p.m. Tickets are available now! $5 online in advance or $10 at the door. Children under 5 are free. Join us for the afterparty at Cornerstone Pie at 8 p.m.!